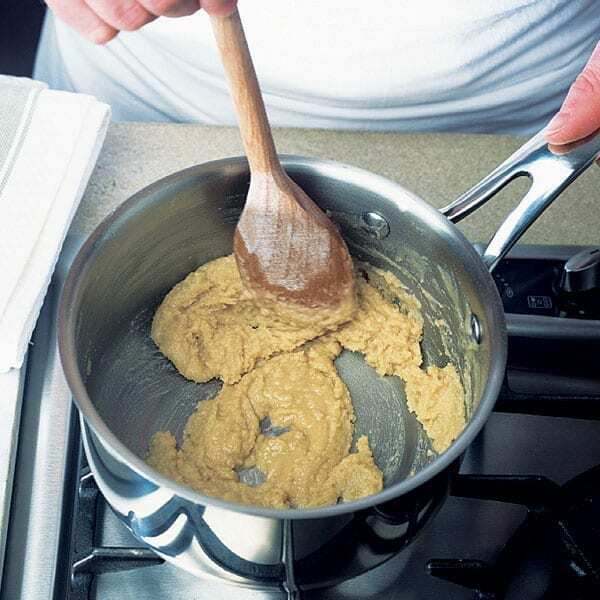 A roux is made by mixing equal quantities of butter and flour over heat until a smooth paste forms, in order to thicken sauces and soups. Typically, milk is slowly added to make a white sauce which can be used in dishes such as macaroni cheese and fish pie. Or follow our step-by-step guide for how to make a white sauce.